Two celebrated Pre-Raphaelite paintings will be brought together in their entirety for Tate Britain’s Burne-Jones retrospective this autumn. The artist’s most famous narrative cycles series, The Briar Rose c.1890 and the unfinished Perseus series (started 1875), have never been shown together before. A major highlight of the exhibition, two rooms will be dedicated to displaying these dramatic large-scale canvases as immersive environments full of exquisite detail. One series is drawn from the northern fairy tale of Sleeping Beauty, depicting a princess and her court frozen in time in a medieval dream world, while the other depicts the action-packed classical myth of Perseus, a hero who slays Medusa and saves Andromeda from a sea monster. Exceptional loans from five different collections will provide a once-in-a-lifetime opportunity to experience these outstanding works together. All four canvases in Burne-Jones’s The Briar Rose cycle will be shown in a museum setting for the first time, together with the panels painted to link each image to the next. Considered some of the artist’s finest and best loved works, this group of eight-foot long paintings caused a sensation when they were first unveiled at Agnew’s Gallery in London in 1890, with thousands of people queuing to see them. Each intricately detailed scene illustrates Charles Perrault’s famous fairy tale of Sleeping Beauty. The princess – modelled on Burne-Jones’s own daughter Margaret – is shown surrounded by attendants as she waits for the prince to wake her with a kiss. Shortly after they were made, the paintings were purchased by Alexander Henderson for his home Buscot Park in Oxfordshire, where they remain to this day as part of the Faringdon Collection. 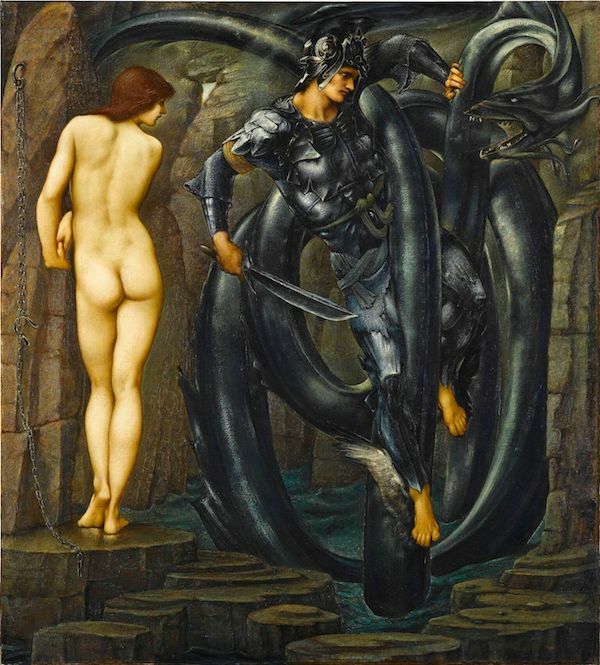 The Perseus cycle was commissioned by 26-year-old MP and future Prime Minister Arthur Balfour, who granted Burne-Jones free reign to create an installation for his London home. The artist proposed ten large-scale oil paintings, retelling the ancient Greek myth of Perseus, but some of the most ambitious and compelling designs were never realised. To complete the cycle, Tate Britain will bring together four finished oil paintings from Germany with six spectacular full-scale preparatory paintings from Southampton, a silver and gold leaf panel from Cardiff and the watercolours for the overall scheme in Tate’s own collection. These works will be among 150 paintings, tapestries and stained-glass panels to be shown in Tate Britain’s major autumn exhibition Edward Burne-Jones: Pre-Raphaelite Visionary. Open from 24 October 2018 to 24 February 2019, the show will reaffirm the artist’s position as a pioneer of the international symbolist movement and one of the most influential British artists of his day. This will be the first major Burne-Jones retrospective to be held in London for over 40 years. 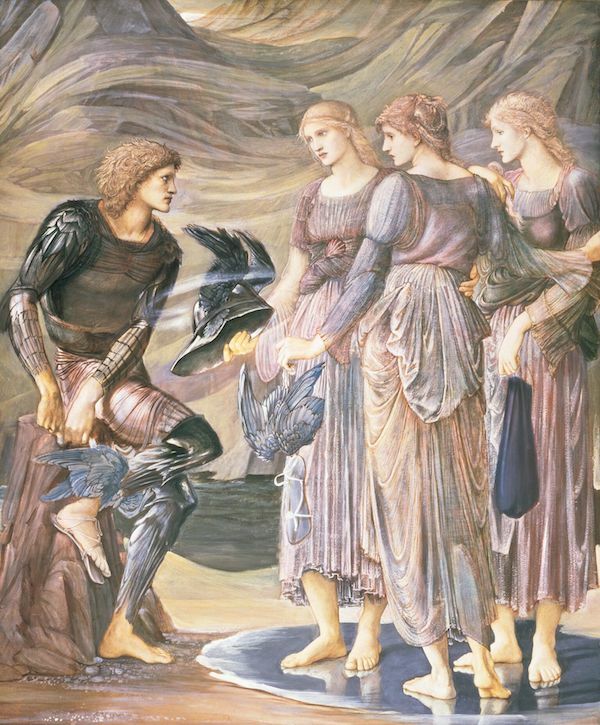 Renowned for otherworldly depictions of beauty inspired by myth, legend and the Bible, Edward Burne-Jones (1833–98) was a pioneer of the symbolist movement and the only Pre-Raphaelite to achieve world-wide recognition in his lifetime. This ambitious and wide-ranging exhibition will bring together over 150 works in different media including painting, stained glass and tapestry, reasserting him as one of the most influential British artists of the 19th century.